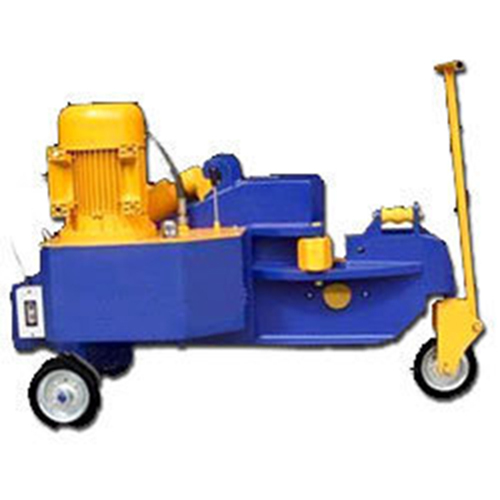 Our portfolio of construction machinery also includes Hydraulic Cutting Machine that are fabricated following well defined industrial procedures. Offered in a variety of models and specifications, these are acclaimed for their durable finish standards and longer service life. Clients can buy these equipment at market leading prices. Smooth cutting motion ensuring long life of the cutting blade. Handy to operate and control the machine ensuring safety whilst in use. It being a hydraulic system eliminates greasing and reduces the wearing and tearing working parts to minimum. Since there are no gears and clutches the machine is virtually maintenance free. Higher models 'RVE' for higher capacities available on request.